As America's oldest educational tour operator in business for the past 50 years, CHA has a great deal of experience in operating international tours and has proudly established an excellent reputation for reliability in our field. 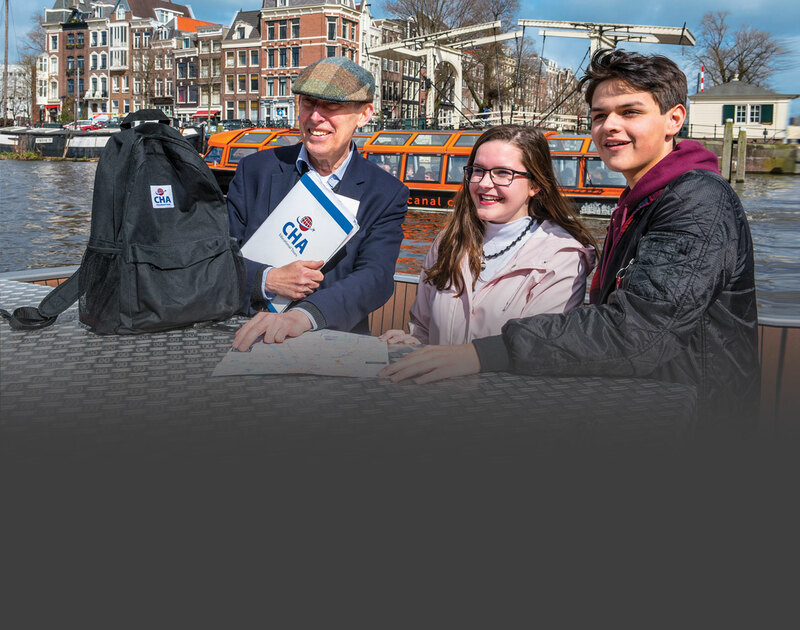 Each year, thousands of American teachers and students journey safely throughout Europe and around the world on CHA tours, over one million passengers in total since the company began back in 1969. Throughout CHA's extensive 50-year history in the educational travel field, we have experienced several serious international crises. Through these times, the welfare of our passengers has remained our primary concern. We share in the concerns of all Americans at this time and want to reassure you of our commitment to the safety of our passengers. Quite simply, CHA will not operate a tour if it feels the safety of any participant will be compromised. We remain in close contact with the U.S. State Department and will abide by any Official Travel Warnings it issues prohibiting travel to particular foreign countries considered unsafe for American citizens. We also consult the Federal Aviation Administration (FAA) and the National Transportation Safety Board (NTSB) on a regular basis and will adhere to any safety regulations they institute to protect the safety of U.S. passengers. Since September 11, mandatory government regulations have resulted in heightened security measures on board aircrafts and at airports across the United States and around the world. We are happy to report that CHA's most recent travel season was a successful one. The thousands of teachers and students who toured Europe and other destinations around the world felt comfortable while traveling and reported no incidents of concern related to safety or security. CHA’s world headquarters in located in Philadelphia, PA. As an international company, CHA also is in daily contact with our staff around the world (including those at work in our offices throughout Europe as well as our tour directors and local guides) who keep us informed on any local events and activities which may impact the normal operation of our tours. Being close to our groups while they travel allows for more timely responsiveness to handle any problems or emergencies which may arise. CHA only works with companies who share our safety and quality standards. CHA contracts with major international airline carriers and books its travelers on regularly scheduled flights only. CHA selects only safe, comfortable, and quality hotels. Routine visits and tour evaluation surveys completed by our teachers each year become the basis for reviewing our hotels, restaurants, motorcoaches, etc. in an effort to improve quality and safety on every level. Once a CHA tour begins, travelers receive the full-time service of their professional, multi-lingual Tour Director. CHA Tour Directors meet our groups upon arrival overseas and remain with them until the time they board their return flights back to the United States. Along with the teacher who is responsible for chaperoning students according to CHA's code of behavior, Tour Directors stress the importance of personal safety, caution and common sense at all times while traveling and are there to assist in handling emergencies on tour should they arise. In addition, national landmarks and major tourist attractions frequently visited on CHA tours have also increased their security measures to further protect our groups as they travel. At CHA, we are committed to providing the safest and most rewarding educational tours possible for our young travelers. We thank all of you for your continued support of educational travel and look forward to serving your travel needs in the future.